A beautiful centered monogram on this 9x12" maple cutting board. 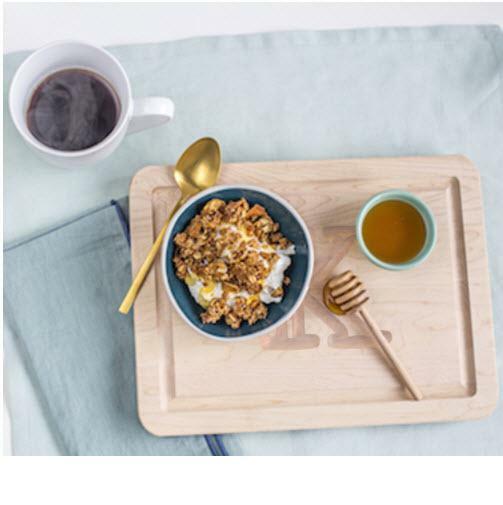 Proudly made in the USA, these beautiful cutting boards are made from select maple wood with "sure grip" rubber feet and deep juice troughs for easy clean up. You may add a bottle of our oil to help preserve your cutting board for years to come. You may choose a single initial or a three letter block initials. Price: $45.00 In stock! - Browse this brand: Big WoodOur products are custom made to your specifications. This product ships up to 2 weeks after your order is placed.